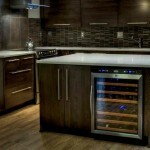 One of the main considerations when buying a refrigerator is how much it is going to cost to run. This not only indicates how it will affect your budget over time, but also gives some insight into how environmentally friendly the refrigerator is. The way that refrigerator manufacturers express this cost is standardized as Yearly Operating Cost based on the kilowatt hours (kWh) used per year. These are the yellow and black stickers that show a dollar range and where the fridge fits in that range. 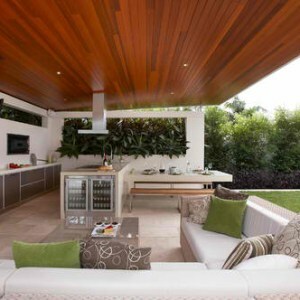 We’ve found that the ranges tend to be somewhat misleading, as “similar refrigerators” can have dramatically different features and/or ranges. 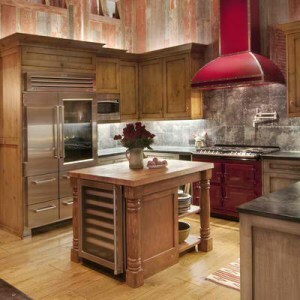 Here we have the 10 lowest operating cost full sized (standard) refrigerators you can buy today. Top freezer models FFHT1725LS and FFHT1725LK differ on the hinge side and nothing else. 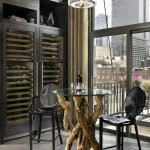 Their capacity is somewhat small for a full sized refrigerator at 16.5 cubic feet. 3.8 cubic feet of that is the small freezer (smallest on this list) with the other 12.8 cubic feet dedicated to the refrigerator. Combined with the fact that they only have an optional ice maker and don’t come with a water dispenser makes the operating cost of $37 much less impressive as indicated by it’s YOP/CuF ratio of 1.80. 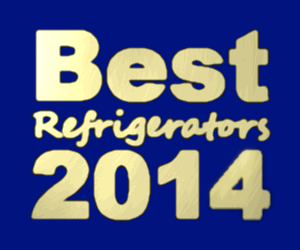 There are more efficient refrigerators on this list, and off this list. These top freezers also differ only in their hinge side. They have a bit more capacity than the FFHT1725L line, but even worse energy efficiency at a 2.30 YOP/CuF ratio. This makes their $38 yearly operating cost lose most of it’s luster. A small freezer, poor energy efficiency, and lack of standard ice maker or water dispenser keeps this fridge from really being worthy of it’s high placing here. Coming in at number 8 is the Kenmore 4126, with a yearly operating cost of $37. The 4126 is a full sized french door refrigerator with a relatively large freezer (7.2 cubic feet) for the fridges on this list. The overall capacity is 21.5 cubic feet, with 14.3 cubic feet of fridge space. An optional icemaker (we assume not included for the Yearly Operating Cost) and lack of a water dispenser make this a no-frills refrigerator that’s targetted to the energy conscious consumer. It’s a modestly efficient fridge when yearly operating cost is compared to it’s capacity, coming in with a ratio of 1.72 (YOP/CuF) in that regard. For comparative purposes, we’ve found that 1.22 (Kenmore 71032) is the best ratio for refrigerators today. At number 7 we have the Kenmore 51374. It’s yearly operating cost is also $37 dollars. It is ranked higher here due to having more capacity in it’s freezer (10.2 cubic feet), refrigerator (16.3 cubic feet) and of course overall (26.5 cubic feet). This gives it a YOP/CuF ratio of 1.40, which means it’s not only one of the refrigerators that cost least to run, it is also one of the more efficient refrigerators on the market today. This is even more impressive when you realize that this french door fridge/freezer comes with an ice maker and water dispenser in the freezer door. While it ranks down at number 7 due to it’s higher cost, the 51374 actually may be the most energy impressive fridge on this list due to the large freezer capacity and the accessories included in that cost. For those looking for a lot of freezer capacity without getting an energy hog, this might just be the fridge for you! Frigidaire’s 3rd entry on this list already is the FFHT2126L line. (The final model letter indicates color.) These top freezer, right hinge refrigerators are smaller capacity ones at 20.6 cubic feet, which helps them achieve their low yearly operating cost of $36. Their small freezers (5.3 cubic feet), lack of a water dispenser, and with optional ice maker, means these refrigerators don’t really impress at those numbers. They really should be able to do better than their YOP/CuF of 1.75. So even if they cost marginally less than the Kenmore 51374, they shouldn’t be viewed as more energy efficient. Quite the opposite. The story is the same for the FFTR2126LW, FFTR2126LB, FFTR2126LS, FFTR2126LQ, FFTR2126LM, FFTR2126LK which are their left hinge counterparts, and the FFHT2117LS, FFHT2117LW, and FFHT2117LB as well. At number 5 is the poster boy for why looking at yearly operating cost on it’s own tells us next to nothing about how efficient a refrigerator really is. It’s $36 yearly operating cost puts it as the 5th best full sized fridge on the market today, but it’s small capacity (18.3 cubic feet, 4.1 freezer, 14.2 fridge) means it’s YOP/CuF is a rather poor 1.97, the second lowest on this list in fact. At half again as expensive to cool per unit of capacity as the best refrigerators, you should probably just stay away from this one. 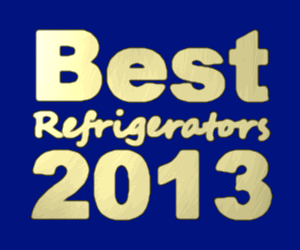 Kenmore’s best shot at taking the number one place away from Frigidaire falls a bit short, but with a refrigerator that probably is the most impressive refrigerator on this list. A relatively large capacity french door refrigerator with both an ice maker and water dispenser in the door, the 51373 comes in at 26.6 cubic feet. That includes a relatively large freezer (10.2 cubic feet) that is only matched in terms of size by the Kenmore 51374. The low yearly operating cost of $33 means this fridge has the best YOP/CuF ratio of any of the refrigerators on this list. 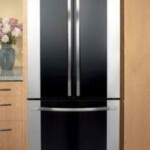 At number 3 is the Frigidaire FGHS2332LE, which is a french door refrigerator with 22.6 cubic feet of capacity. That is split between the fridge (14.2 cubic feet) and one of the larger freezers on this list (8.3 cubic feet). With a yearly operating cost of $30, that makes this one of the most efficient as well at 1.33 YOP/CuF. The FGHS2332LE is a very efficient fridge, even before taking into account that it also comes with an ice maker and water dispenser in the door. Sometimes you hit a peak in a list before you get to that number one spot, and this is such a list. Sadly, for the Frigidaire FGHT2146KF, the peak has already passed with the number 3 and 4 spots stealing the show. The FGHT2146KF is a good fridge, with a decent YOP/CuF ratio of 1.46, good capacity at 20.6 cubic feet (5.3 freezer, 15.4 fridge), but without a water dispenser, and only an optional ice maker, the $30 yearly operating cost really doesn’t compare well with the better refrigerators. If you’re just looking for the lowest cost standard (full) sized fridge, then this is the one. It comes in at a tiny $28 yearly pricetag. It’s even more efficient than the FGHT2146KF, but falls behind the FGHS2332LE also from Frigidaire, and Kenmore’s 51373. This is one list where the “meat” really is in the meat of the list. We think that the 51373 from Kenmore, along with it’s sibling the 51374 are, along with the FGHS2332LE from Frigidaire, the best refrigerators on this list. Of course, for those who don’t want an ice maker and/or water dispenser, there may not be as big a gap. But still, those are the top 3 most energy efficient refrigerators on this list, which really is the point of this list even though the standard Yearly Operating Cost doesn’t do a good job of exemplifying what really matters. Hopefully in the future more refrigerator manufacturers can start producing fridges that are up to the energy efficiency standards that Kenmore and Frigidaire are setting. While the Frigidaire FGHT2146KR and FGHT2144KF have a high YOP/CuF ratio for this list, it still pales in comparison to the 4.90 YOP/CuF of the GE GTR10HAXRWW! FFHT2126L line. (The final model letter indicates color) is number 6 on the list and Frigidaire FFHT2126L(S )is number 1. What makes them different besides color. FFHT2126LS has a stainless finish, which is the only difference I can see. We were using energy efficiency numbers from Frigidaire’s Energy Consumption stickers. They may have mislabelled that model on the site or we may have made a mistake in transcribing them or working with the data. Thank you for pointing out the discrepancy! It also looks like Frigidaire have discontinued selling their FFHT2126L* line on their website, but offer a similar FFHT2126P* line now. The new “P” line has much higher energy use at 408kWh/year and some variation on specs. We will be doing an update to this article soon as there are over 500 more refrigerators in our database now and lots of other changes of note.